The sun, the moon, the stars! Please join The Rare Books Department for a hands-on display of stars from our collections, representing more than one thousand years of cosmological gazing. This open house is in conjunction with a solar eclipse gathering hosted by the J. Willard Marriott Library and The University of Utah’s Department of Physics and Astronomy. 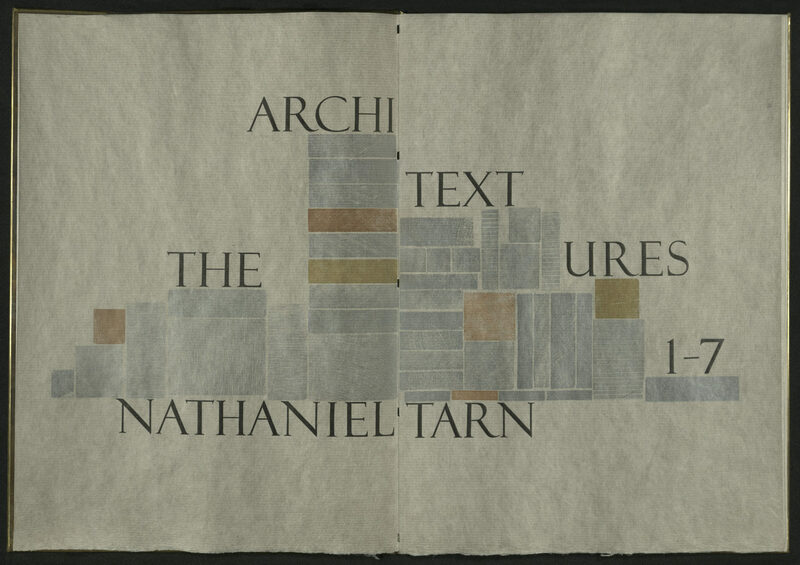 Nathaniel Tarn was born in Paris and lived in Belgium until he was eleven. He studied history and English at King’s College, Cambridge. After returning to Paris he studied anthropology and received a Fulbright grant. He studied at Yale University and the University of Chicago and did his doctoral fieldwork in Guatemala. He then completed his graduate studies at the London School of Economics. Tarn published his first volume of poetry, Old Savage/Young City, in 1964. 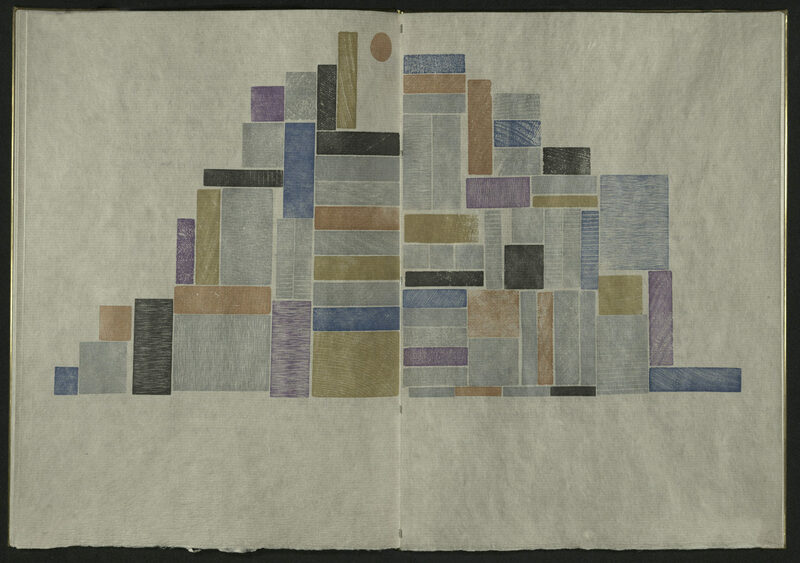 His next published work was a translation of Pablo Neruda’s The Heights of Macchu Pichhu, published by Jonathan Cape, in London. He joined Jonathan Cape as General Editor of its international series. In 1970, he immigrated to the United States, became a citizen, and taught as Visiting Professor of Romance Languages at Princeton University, and later, at Rutgers and other universities. The Architextures 1-7 are the first seven from a collection of seventy prose poems. 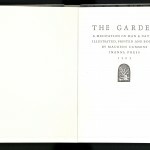 The book was handset and letterpress printed on a Vandercook Universal I with Meridien type in six colors and 72pt Felix Titling for display and opening initials. Paper is dove-gray abaca, made by Katie MacGregor at the MacGregor/Vinzani papermaking studio in Whiting, Maine. 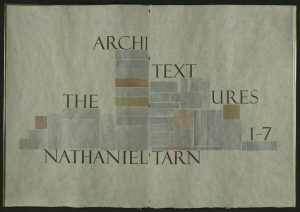 Six-color wood blocks illustrate the text throughout. Ninja Press was begun in 1984 by Carolee Campbell, whose main publishing focus is contemporary poetry. Carolee began her book work as a photographer working with nineteenth and twentieth-century photographic processes. 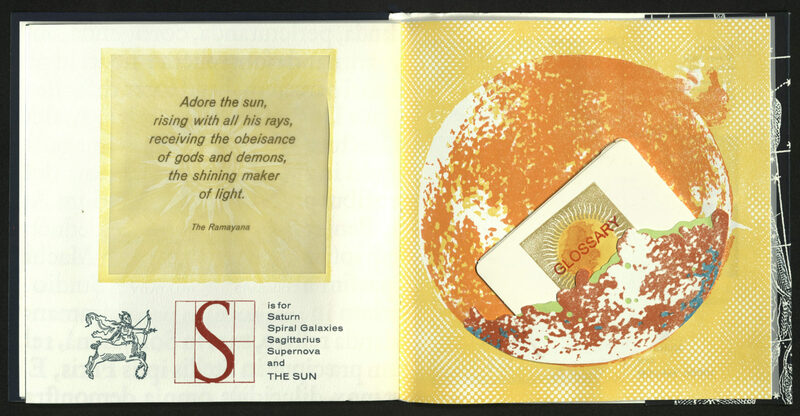 Binding her photograph sequences introduced her to bookbinding and experimental book structures. 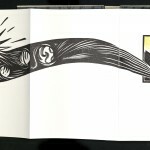 She then expanded her book work with letterpress printing. 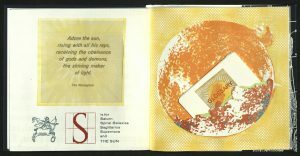 Bookmaking opened “the way into contemporary poetry — confronting it for the first time with a directness and penetration she seldom experienced as a reader.” (Ninja Press) All book work from Ninja Press is by Carolee Campbell. 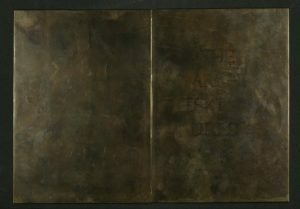 Bound in torched and patinated thin brass boards, with a spine of brass and stainless steel hinges. Issued in a clamshell box covered in black kyosei-shi, a handmade paper from the Fuji Paper Mills Cooperative in Tokushi-ma, Japan. 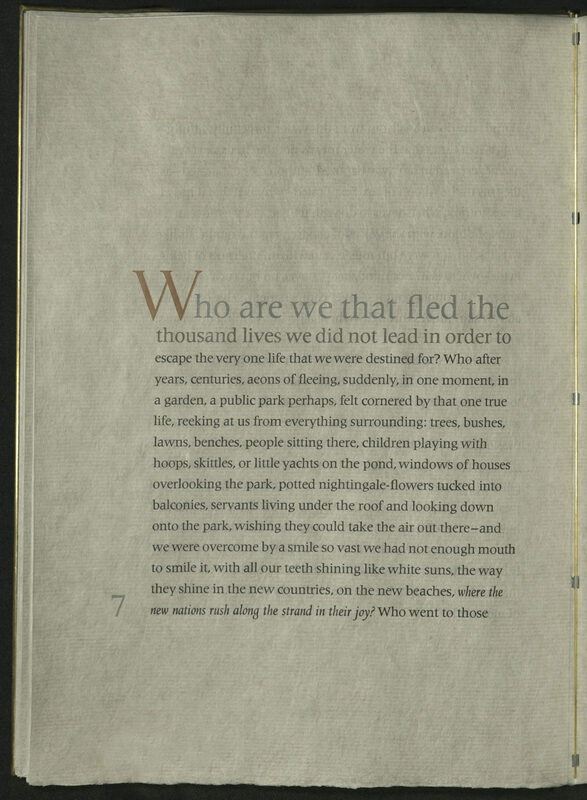 Edition of sixty-five numbered copies, signed by the poet and the bookmaker. 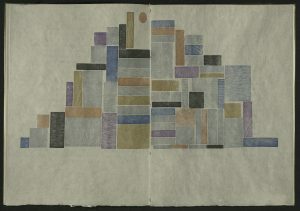 Maureen Cummins was born in New York and received a BFA from Cooper Union School of Art in printmaking and book arts. Her imprint, Inanna Press, specializes in literature of the east. Inanna Press books are handset and printed on a Vandercook Universal I. Illustrated with thirty hand-colored woodcuts. 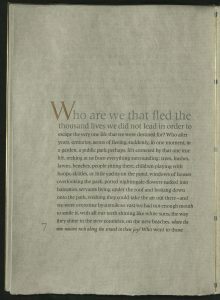 Printed on double leaves. Accordion bound with patterned paper boards and a beige cloth spine lettered in gilt. 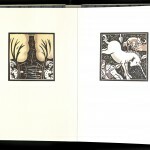 Issued in beige buckram-bound slipcase with mounted woodcut illustration on the front. Edition of 30 copies, signed. University of Utah copy is no. 17.